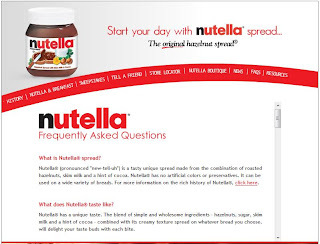 Everyone can relax because I've discovered an answer to the great "Nutella" debate of 2010. However, I couldn’t rest with that answer. Most importantly I couldn’t stand to believe that I had been pronouncing it wrong for all these years. And secondly, I'm not sure I got a random sampling or that it was a fair count – considering the inordinate amount of Canadians visiting the blog that day. I LOVE YOU CANADIANS!!! KEEP COMING BACK. I needed a more definitive answer. 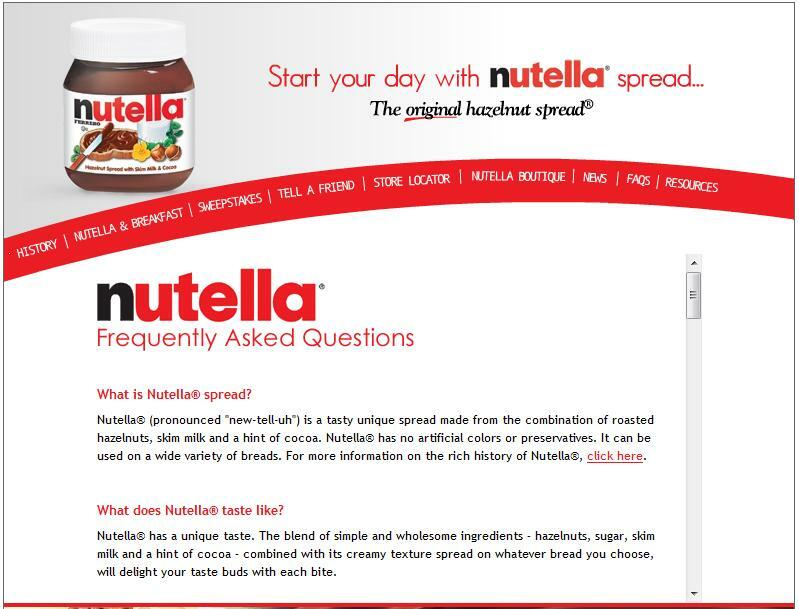 Right there for all of the world to see on their “faq” page is the correct way to say nutella! There are two reasons why this is so joyous for me. First, because I have an answer that I believe to be straight from the horse’s mouth. Second, because I WIN, I WIN, I WIN. (not that I'm competitive or anything). Whew. Doesn’t it make you feel better just knowing?